"Bluth Thanksgiving" by Cuyler Smith. From this summer's 1988 Arrested Development art gallery. Wallpaper and background images in the Arrested Development club tagged: arrested development art gallery cast. 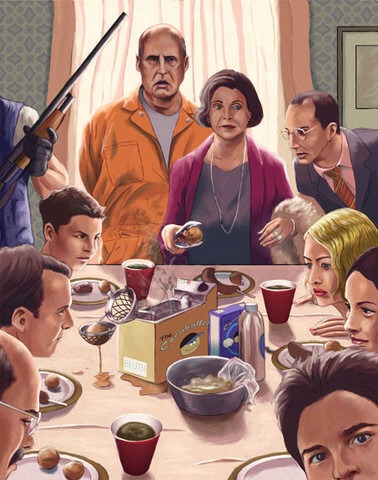 This Arrested Development fan art contains dinner, dinner table, lunch, luncheon, tiffin, and dejeuner. There might also be smorgasbord.